“You have a tool that nobody else has and you are going to be able to identify things that other breeds just won’t,” said Tyler Gray, Neogen territory manager from Idaho, during the third innovation workshop hosted by Neogen at the fifth-annual Angus Convention Nov. 3-5, 2018, in Columbus, Ohio. The partnership between Neogen and Angus to create Angus GS was made possible by visionary leadership latching on to the endless possibilities of new technology. “This test puts you in the driver’s seat and allows you to give your customers the most value possible,” Gray said. Though Angus GS is a powerful tool, it does not replace the first round of selection based on phenotype. The eye of a cattleman will always be a valuable tool in an arsenal. 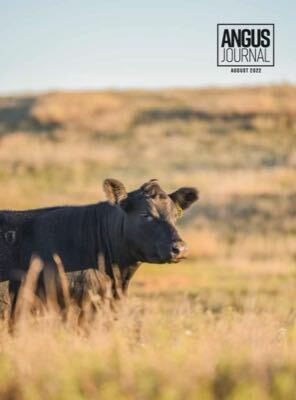 With three simple ways to take a sample for the test, cattlemen have flexibility with added accuracy. The preferred method, by the scientists and producers, is the tissue sampling unit (TSU). The blood and hair cards are also options. Dorn demonstrated the simple task of taking a TSU. The gun is easy to load and use, and can be taken on either the top, back or front side of the ear. When the sample is in the container, a ball in the bottom will turn green. Allflex offers a bundled package containing an EID tag, visual ear tag and a correlating TSU. The numbers will all match, making it one less thing to think about in the process. Once a sample is collected it can be kept for up to a year at room temperature. If the plan is to keep the sample for more than a year it can be frozen. The house freezer will not suffice though, as it will get opened and closed too much for the sample to remain viable. Cattlemen will then receive DNA scores back for the various traits.